Ergorig has been designed to be quickly adjusted to fit different body types, as well as adjusted on the fly. Once it is fitted to your body, a small adjustment to the front strut allows you to raise the height by an extra inch. I tried on the Ergorig and took it for a bit of a spin. I was amazed at just how well it works. 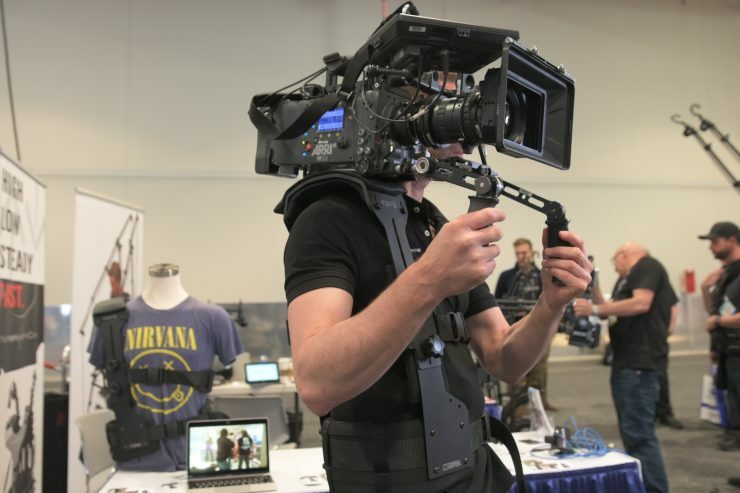 Even with a very heavy ARRI Alexa camera package I couldn’t feel any pressure on my shoulders or back. I was able to comfortably and easily handhold the camera for extended periods of time. HOW DO I ADJUST IT TO MY HEIGHT AND BODY TYPE? The rear strut only needs to be adjusted once for each operator, and has four different positions along the belt for different waist sizes. If you want to move it, start by removing both struts from the belt by unscrewing the four nuts in the front, and the four allens in the rear. Reposition the rear strut first with an unbuckled belt, then buckle the belt and screw the front strut back on. If you have the belt extended to allow room for the supplied extra belt pad, just slip it through the buckle to give more comfort on the exposed nylon belt. Height adjustments of the front and rear struts can be made by loosening the two knobs on each, while on or off your body. Most operators prefer to have it sit just above their shoulders, low enough to feel a little contact, but high enough to not actually feel any weight. Once you have it around the right height (with the front and rear struts more or less even), to make small adjustments you only need to adjust the front strut’s height. Lastly, the midriff plate can be raised/lowered independently to the desired position along both the front and rear struts to move the straps to a comfortable position across your torso. HOW DOES IT PACK TO FLY? rgorig can easily collapse to pack away by unscrewing the front nuts and rear allens to detach the belt. If you need it even smaller, you can also remove one of the struts from the shoulder plate by unscrewing the top two nuts. Yes! The front, back, and lower shoulder pads are removable and washable. 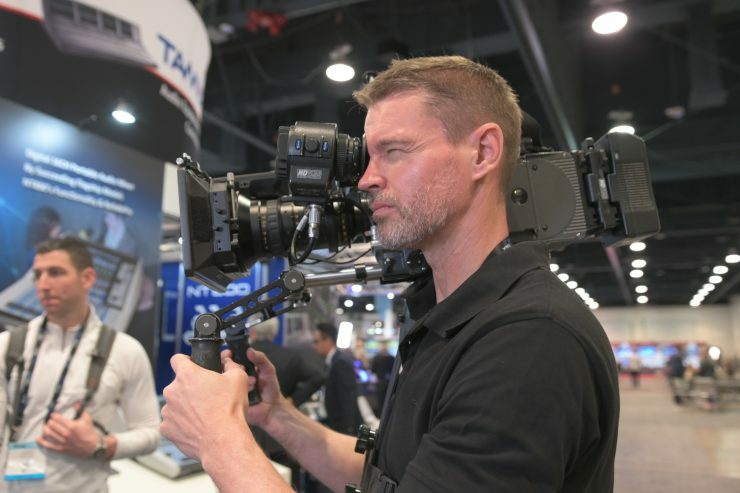 WHAT IF I WANT TO UNDERSLING THE CAMERA? 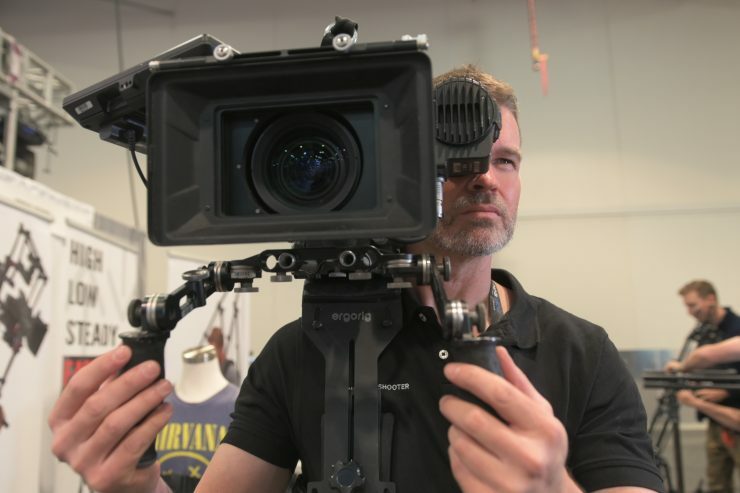 Just attach any strap to the top handle of the camera and wrap it around the top gripping pad on your ergorig. It will take the weight, and the midriff straps will keep everything in place. 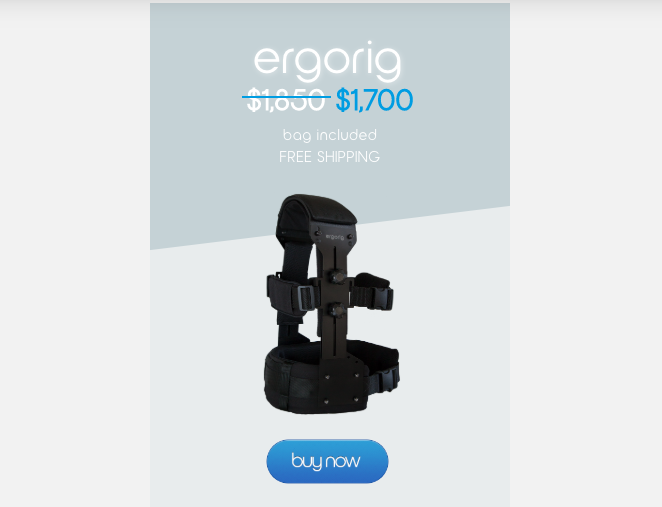 The Ergorig is now shipping. 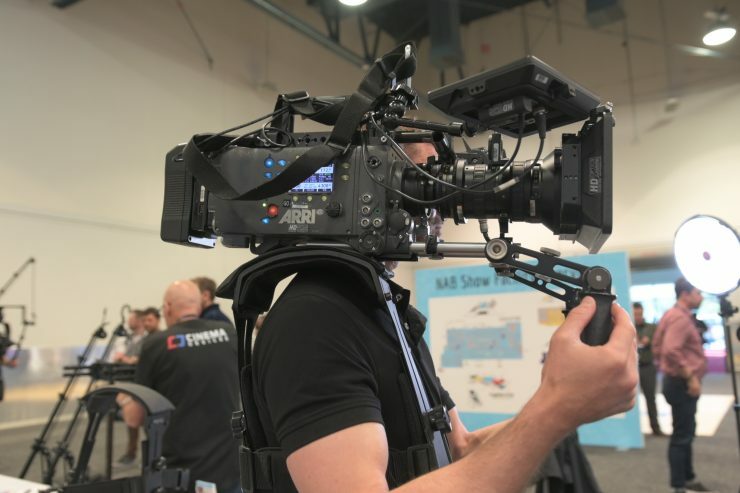 Currently they have a NAB special where you can purchase it for $1700 USD. The regular price is $1850 USD. Those prices include a bag and free shipping within the US.